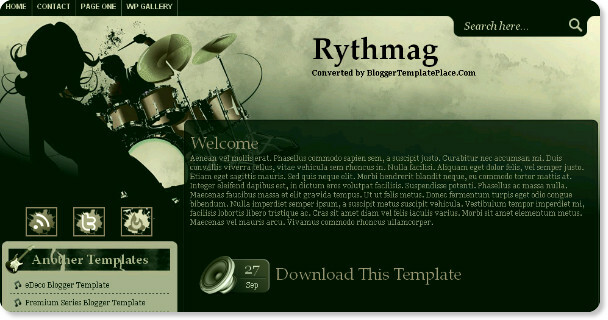 Best Blogger Template Style - Rythmag is a two column music template with a left sidebar.The Rythmag template is perfect for all music based blogs with the header and sidebar using musical icons and images.Rytmag has a dark transparent look. It is a wonderful template. Please share more music templates.